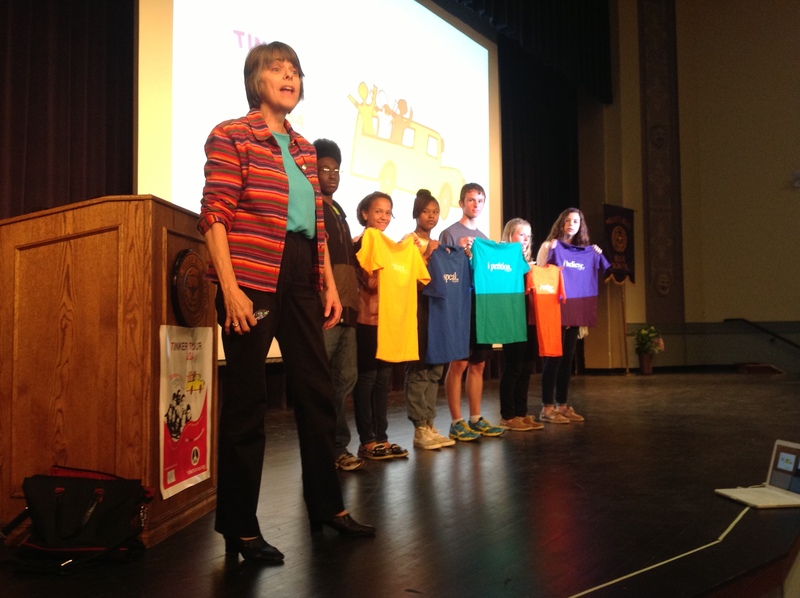 Mary Beth Tinker talks with students about the five freedoms of the First Amendment during the Tinker Tour’s national free speech/press and civics education bus tour. Today, the Tinker ruling continues to protect students’ rights, and has been cited by judges in almost 6,000 student cases. It is included in most American civics and history textbooks. 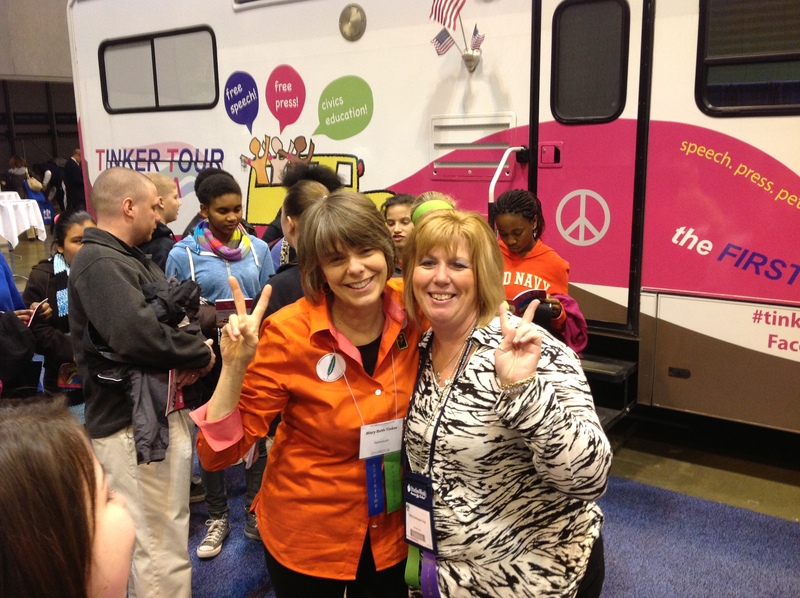 Join Mary Beth as she tours the country on a “Tinker Tour,” where she recounts her journey, shares stories of other young people and hears from you about how young voices are making a difference. Of course, basic civics will be included! Suitable for all audiences, this talk should generally be scheduled for about 45-60 minutes, including Q & A period. There can also be time afterwards for photos, autographed armbands, etc. The 1969 Supreme Court Tinker decision is commonly acknowledged as something of a high-watermark for student free speech rights in America. This session will address the Supreme Court’s 1988 Hazelwood decision and other cases involving student media, as well as off-campus and Internet-based student expression. About this talk: 45-50 minutes, mostly discussion. It’s not often you get to talk to someone straight out of your history book. 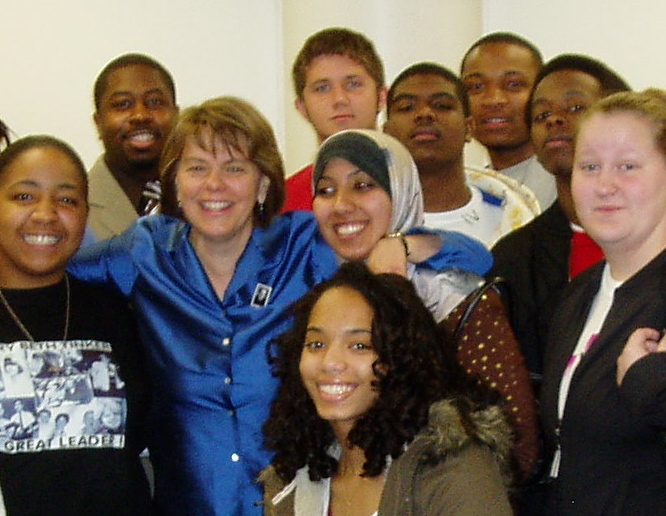 Join Mary Beth after her general presentation for a follow-up discussion about her experience, and yours. Court rulings since Tinker and current students’ rights issues will be addressed. About this Talk: This flexible session can be repeated as often as time allows, and works well in a classroom setting or as part of an informal lunchtime chat with students and/or teachers. 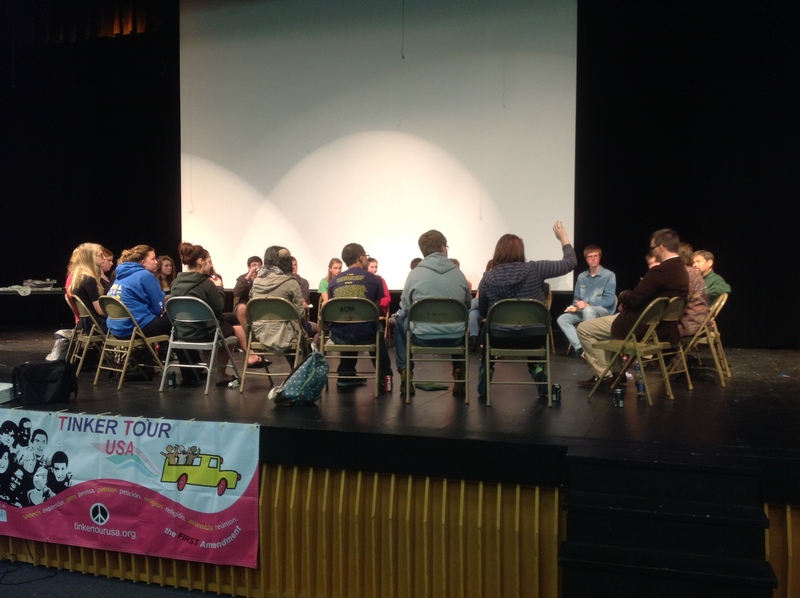 Students share their thoughts as part of roundtable talk during the Tinker Tour’s Oct. 17 stop at Nathan Hale High School in West Allis, Wisc. In 1965, Mary Beth changed the world with a simple black armband. You’ve heard from her. Now, we want to hear from you. There is a lot going on the world right now. What issues are most important to you and your classmates, locally and globally? What can be done? What are you doing? Do you feel free to talk about and address these issues? How are you using the First Amendment? Mary Beth uses this session to turn the cameras and microphones around to share your stories via the Tinker Tour blog and social media. About this Talk: Small groups (maximum about 30 students) ready and willing to speak out preferred. Can be lunch event. Click here for Mary Beth’s bio and photo. Click here for the Tinker Tour Media Kit.